The word "liturgy" comes from the Greek word leitourgia which means "work of the people." As Catholics, we use the word "liturgy" to refer to the celebration of the Mass, the center of our faith life. Together, as a church family, we are all called to participate in the liturgy through our prayer, song and spoken responses at Mass. Some of us also feel called to serve at Mass as liturgical ministers. 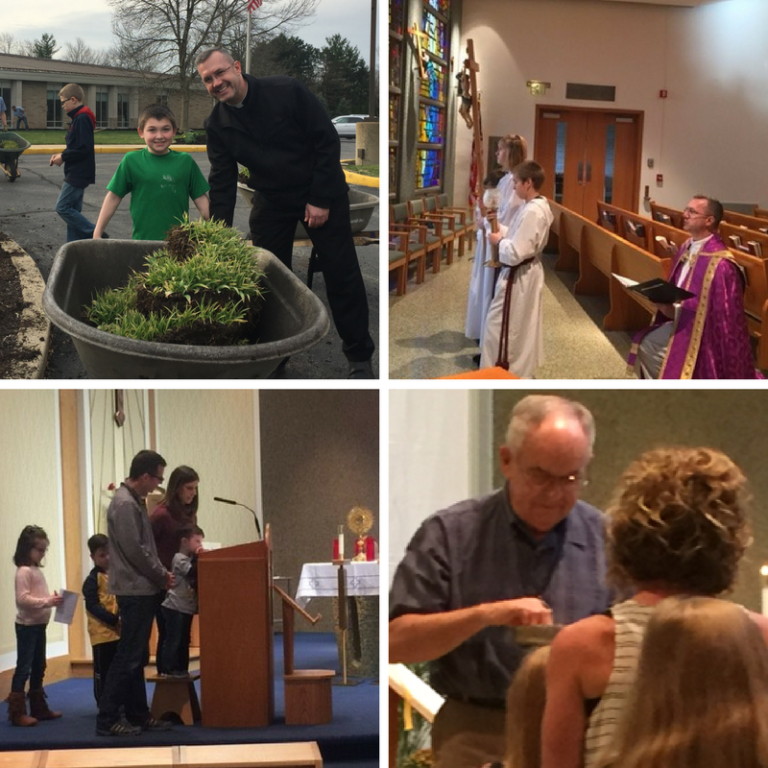 Our liturgies at Blessed Sacrament couldn’t be successful without our wonderful group of liturgical ministers sharing their time and talent with our parish community! Do you feel called to participate more fully in the Mass as a liturgical minister? We always welcome new disciples to serve Christ and our parish in this vital ministry! Please contact the parish office by email or by phone at 765-463-5733 if you would like to learn more about serving in any of the liturgical ministry positions listed below. All training is provided. All liturgical ministers age 18 and older must complete Safe and Sacred Training. Altar Servers assist the priest during Sunday Mass, Holy Day Mass, weddings, funerals, Stations of the Cross and Benediction. 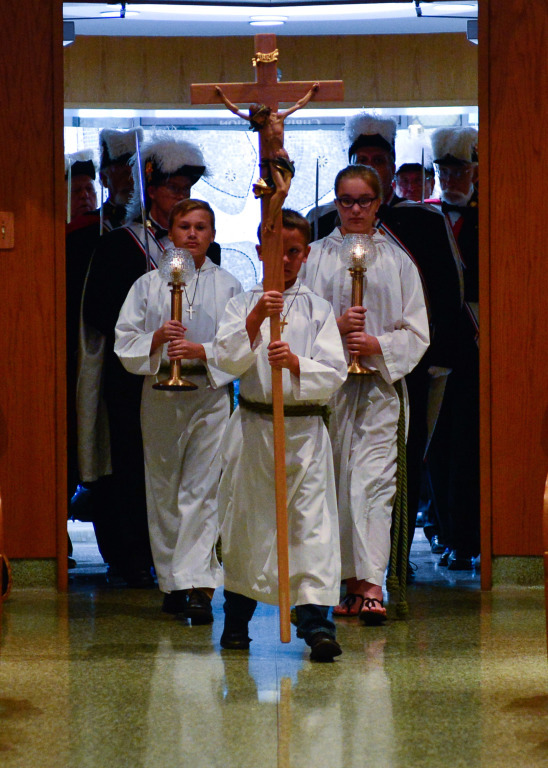 Altar servers need to be fourth grade or older and have made their First Communion. Adult Altar Servers assist the priest during Funerals that occur when student altar servers are not available. Adult Altar Servers must have received the Sacrament of Confirmation. If married, the marriage must be recognized by the Catholic Church. Lectors proclaim the Word of God clearly and understandably at Sunday Mass, Holy Day Mass, Funerals and Daily Mass. Lectors must be 16 years of age and have received the Sacrament of Confirmation. If married, the marriage needs to be recognized by the Catholic Church. Extraordinary Ministers of Holy Communion serve in many ways. They assist with the distribution of Holy Communion at Mass and funerals, they may bring communion to parishioners who are homebound or who reside in nursing homes and assisted living facilities. Extraordinary Ministers must be 16 years of age and have received the Sacrament of Confirmation. If married, the marriage needs to be recognized by the Catholic Church. Ushers are sometimes referred to as Greeters. Being a welcoming community is very important. Ushers are the first face of the parish. They greet those coming into our church, offer assistance to those in need, distribute parish bulletins, take up the collection, and distribute other materials as needed. Ushers are needed at Sunday Mass, Holy Day Masses and Funerals. Ushers must be 16 years of age and have received the Sacrament of Confirmation. If married, the marriage needs to be recognized by the Catholic Church. Gift Bearers carry bread and wine to the altar during the Offertory Procession at Mass. Families, groups, or individuals are welcome to volunteer to serve as gift bearers. Sacristans make sure the sacramental supplies (hosts, wine, chalices, linens, etc.) are in place before Mass. There is also an opportunity to assist with washing and ironing linens; cleaning water fonts and refilling holy water, and dusting the main altar, the day chapel and the sacristy. Mass Captains ensure that everything is in place for Mass and for Mass viewing in the Gathering Space and the Kateri Room. The Arts and Environment Committee is responsible for planning and decorating the church for all liturgical seasons, including but not limited to Lent, Christmas, Easter and Ordinary Time.